There are 5 main types of hydrangeas that you will find in North America. We've made this ultimate guide to help you identify hydrangeas easily by looking at images for reference as well as main characteristics that each type commonly have. Click through on each type for more detailed information. Also, there is an easy guide at the bottom of this article to quickly read through the information. 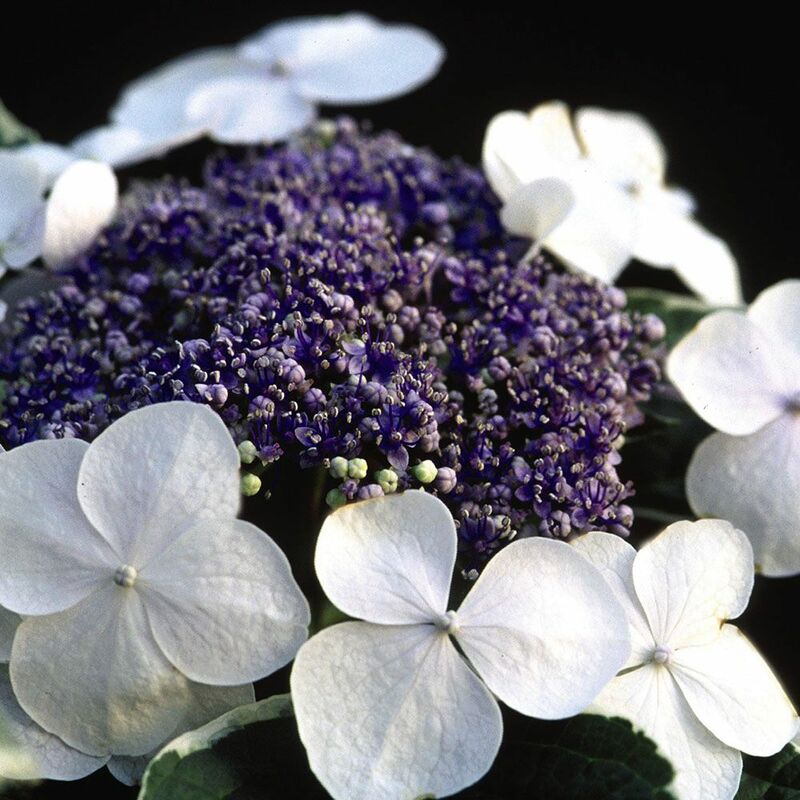 Also called French hydrangeas, florist's hydrangeas, & hortensia. This is the most common type of hydrangea found in the United States. 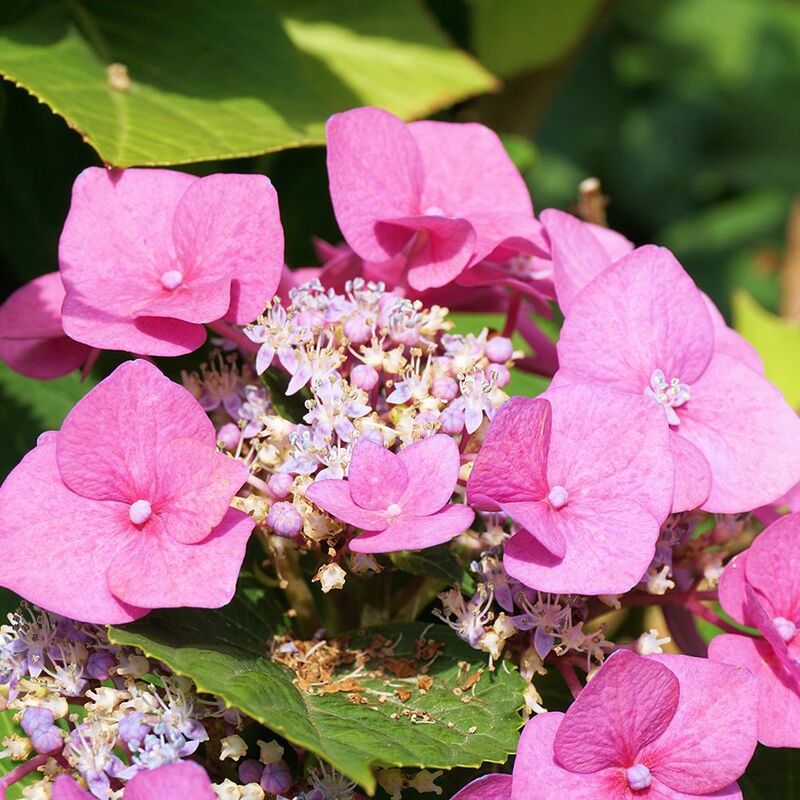 There are 3 different types of hydrangea macrophylla; mophead, lacecap and mountain hydrangeas. These are the most popular bigleaf hydrangea. Many recognize these due to their large flower heads that are purple, blue and pink. In general, mophead and lacecap leaves are relatively thick and crisp, somewhat shiny, and often heart-shaped. Their edges are coarsely toothed. They are approximately 4"-6" long and 3"-5" wide, but in some cases, they may grow even larger. Leaf stems (petiole) are short, causing the leaves to hug close to the main stems in most cases. Stems often have tiny black or red streaks or speckles. Mopheads and lacecaps have identical leaf forms. 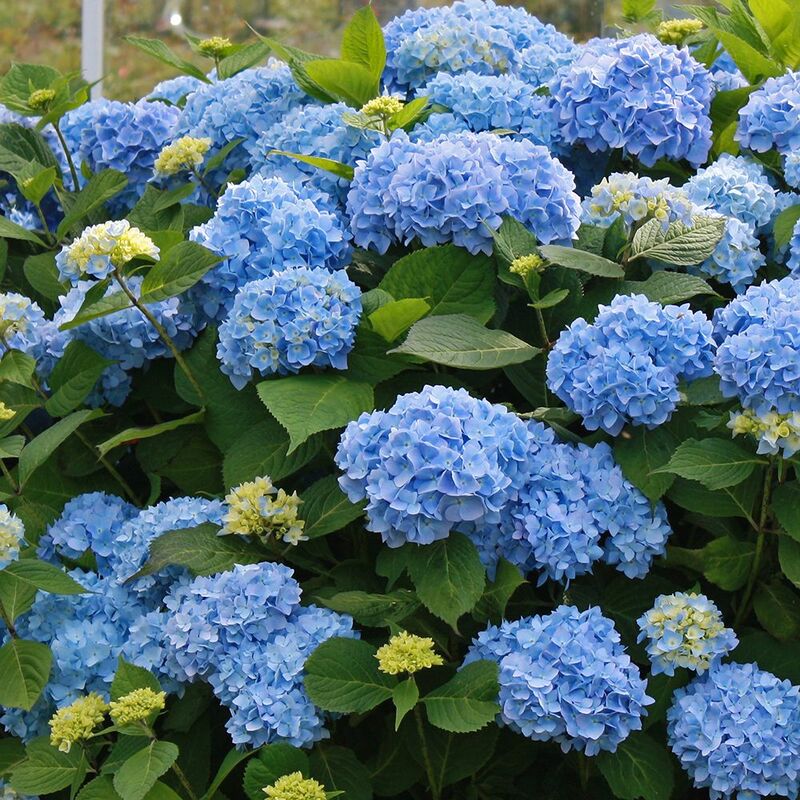 The scientific name for lacecap hydrangeas is Hydrangea macrophylla normalis. Lacecaps are identical to mopheads in every way except the shape of their blooms. The little buds in the center of the lacecap are the fertile flowers, and the large showy blossoms around the outer edge are the sterile flowers. The scientific name for mountain hydrangeas is Hydrangea macrophylla ssp. serrata. These are the least common bigleaf hydrangea. These have much smaller flowers but the plants are extremely hardy and built to survive harsh winters and climates. Panicle hydrangeas are known for their cone shaped flower heads. These are large blooms typically start white and may turn to pink. 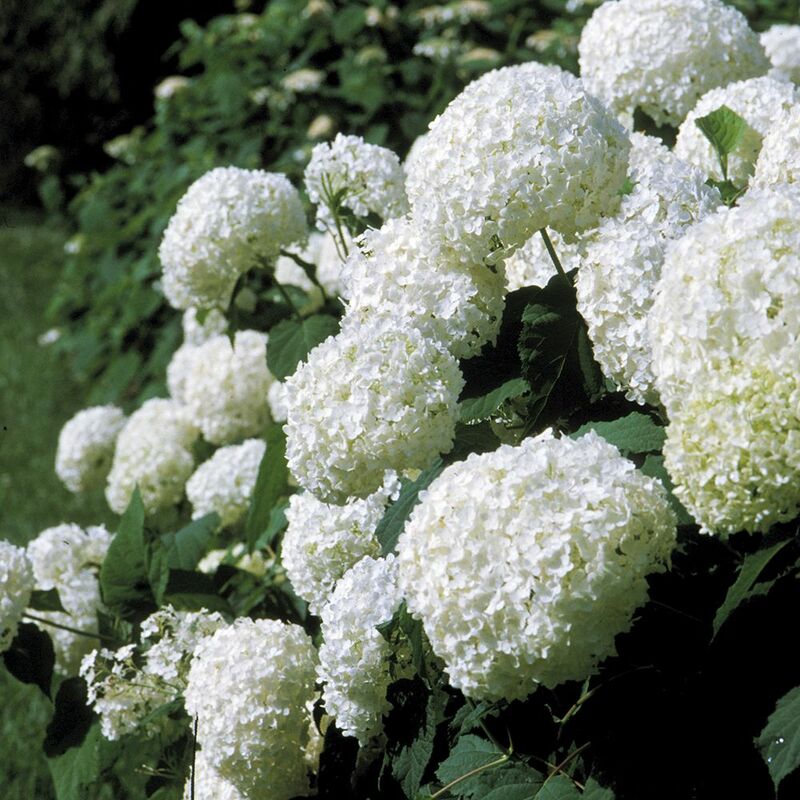 These are the most cold hardy hydrangea and can grow from zones 3 to 7. The leaves of PG hydrangeas are relatively easy to identify when compared with other hydrangeas. 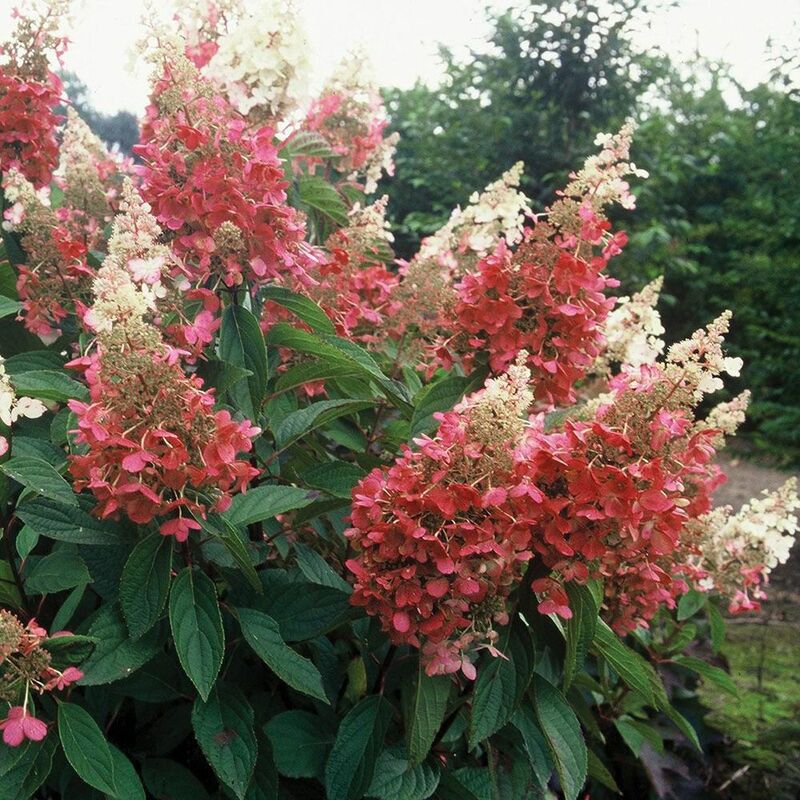 They are smaller, thinner, and rougher than leaves of the mophead hydrangea, typically 3"-6" long and 3"-4" wide. The edges are finely toothed in some varieties and more coursely toothed in others. They are medium green with a matt finish. One feature that will aid in identification of the H. paniculta is this: three leaves grow from a stem-node and are distributed around the node in a whorl. PG hydrangeas are the only hydrangeas that will form trees. Their central stem(s) can be developed into very attractive trunks. These are also called wild hydrangeas, these shrubs are native to the United States. These bushes can tolerate hotter climates and are hardy from zones 4 to 7. These are sometimes planted as hedges because of their size. The leaves of arborescens are generally heart shaped, thin, and floppier than the mopheads (macrophylla). They have a matte surface and a courser texture than the smooth leaf of the mophead. The leaf stems (petiole) are long and hold the leaf away from the main stem. 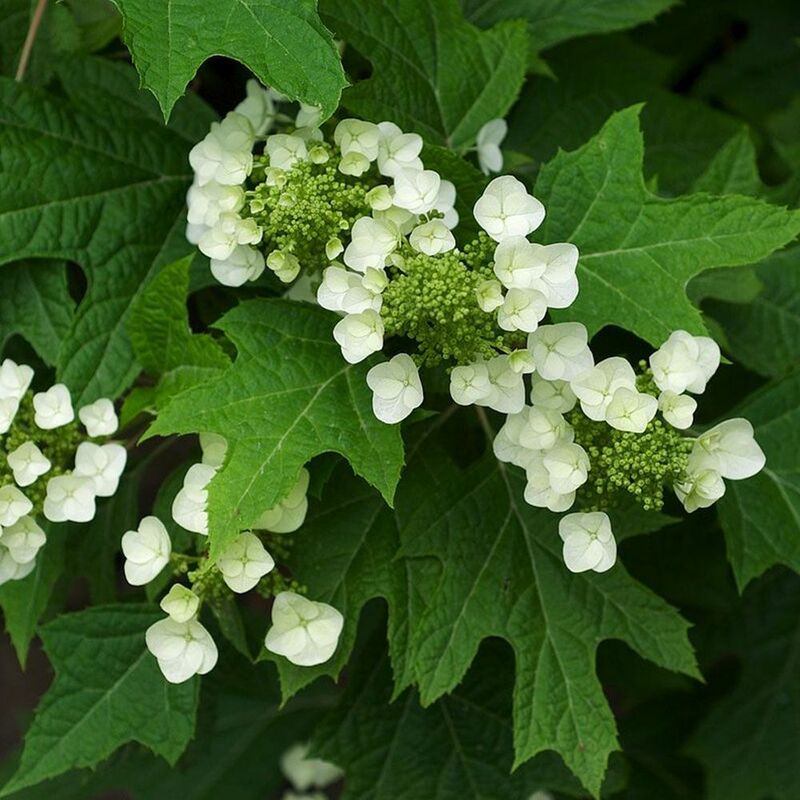 It is easy to see where the Oakleaf Hydrangea gets its name. It's leaves are shaped much like those of a red oak. The leaves can be 4" X 4" or they can be a huge 10" X 10." The foliage on these hydrangeas also changes color in the fall and are the only type of hydrangeas that do that. The color will change from orange to red to mahogany. These are easy to spot because they are actually vines. Climbing hydrangeas are native to Asia and is also commonly called Japanese hydrangea vine. 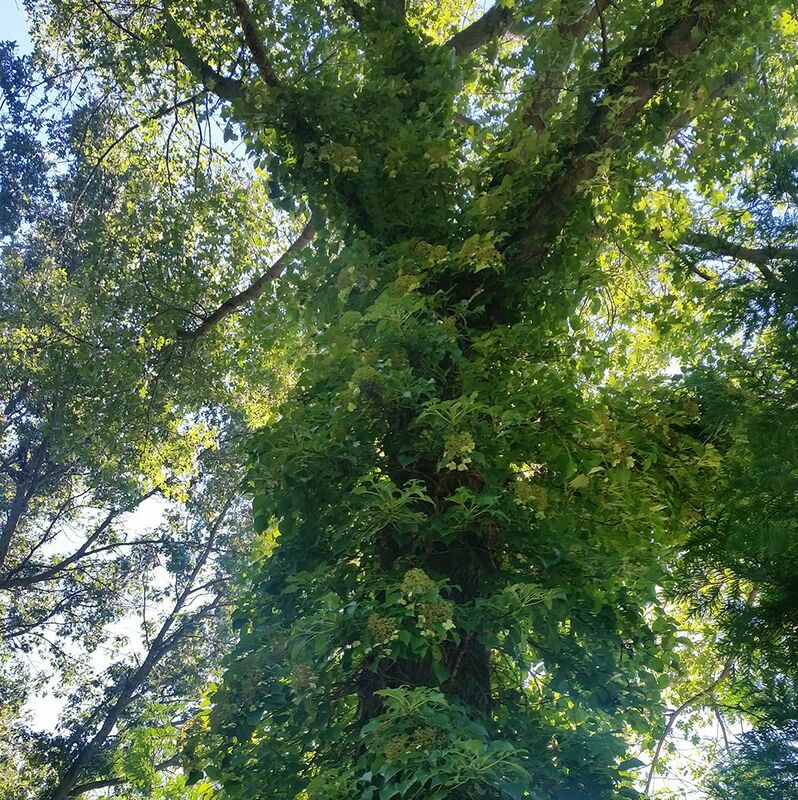 These vines can grow in zones 4 to 8 and are becoming more popular due to the uniqueness of growing up structures and having large blooms.